Blowin. Purchase Prints at amyemeraldprindle.bigcartel.com. HD Wallpaper and background images in the Lil' Wayne club tagged: lil wayne wayne weezy music video the best rapper alive smoke. 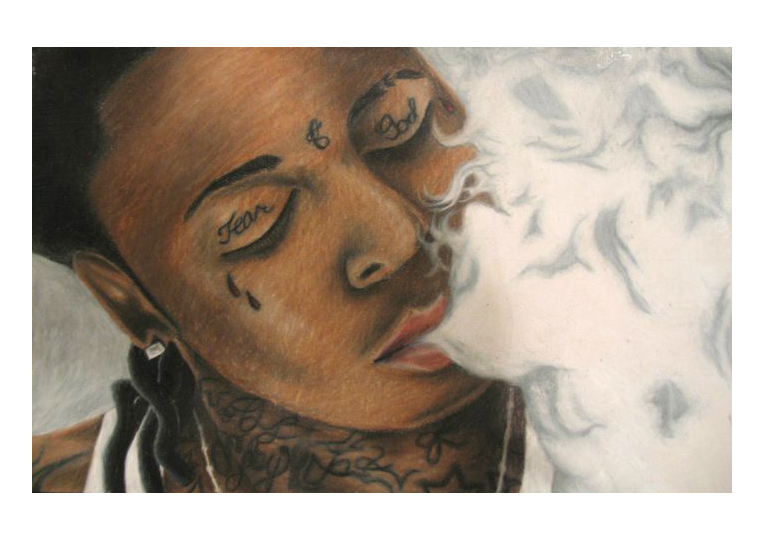 This Lil' Wayne fan art might contain portrait, headshot, and closeup.